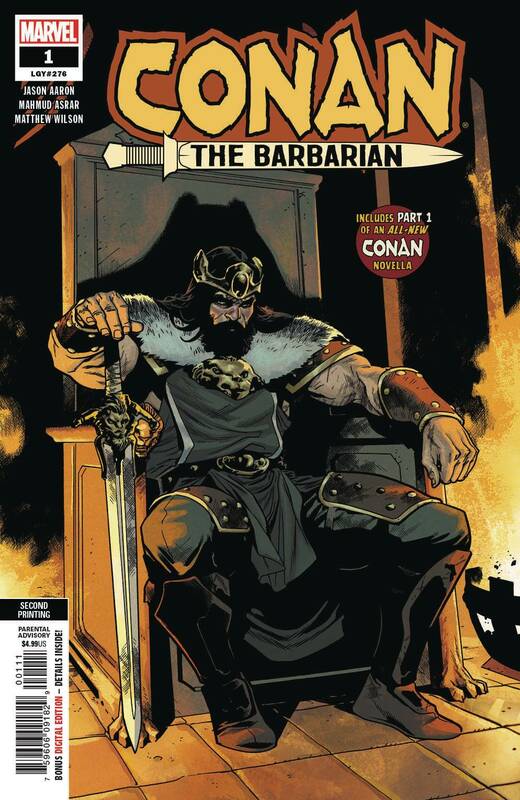 (W) Jason Aaron (A) Mahmud A. Asrar (CA) Daniel Acuna BY CROM, THE GREATEST SWORD-AND-SORCERY HERO RETURNS TO MARVEL! From an age undreamed...hither came Conan the Cimmerian, black-haired, sullen-eyed, sword in hand, a thief, a reaver, a slayer, with gigantic melancholies and gigantic mirth, to tread the jeweled thrones of the Earth under his sandaled feet... Robert E. Howard's creation returns to comics, in an epic tale as only MARVEL could bring you! Conan's travels have brought him to the far reaches of the unkown, from his birthplace in Cimmeria to the kingdom of Aquilonia and all in between. As his fighting prowess allows him to carve his way through life, so too does it attract the forces of death! 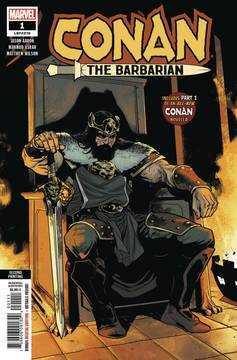 The all-new ages-spanning saga begins here, by writer Jason Aaron (THE MIGHTY THOR, STAR WARS) and artist Mahmud Asrar (UNCANNY X-MEN, ALL-NEW, ALL-DIFFERENT AVENGERS), as Conan's destiny is forever changed! Parental Advisory.